Every time I see a meme, a gif, or a running joke about the problems women face during their period, I let out a chuckle thinking how at times, stereotypes couldn't be farther from the truth. I also mumble thanks to my parents for raising me to speak my mind about taboo things like my periods that people want to brush under the carpet. There are still so many women in India who suffer the shame and unnecessary stigma when it comes to menstruation, and it makes me wonder if we really are in 2018. Bollywood actress Sonam Kapoor has spoken out in a similar vein, as she is currently promoting her next comedy-drama with Akshay Kumar, R. Balki's Padman. The actress said she was 'shocked' by the taboos and ignorance that surrounded menstrual hygiene, even today, and also revealed that certain limitations applied to her as a child as well. 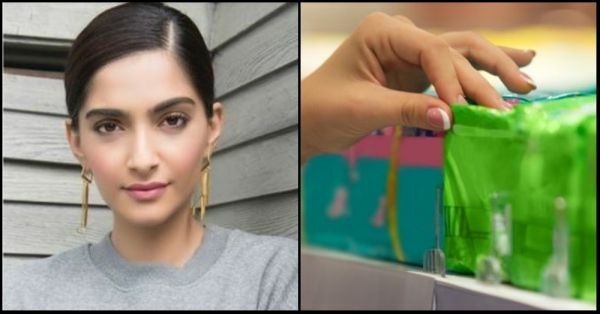 "Menstrual hygiene is an issue, which not many people would think can be a good subject for a film," said Sonam, according to a report by NDTV. 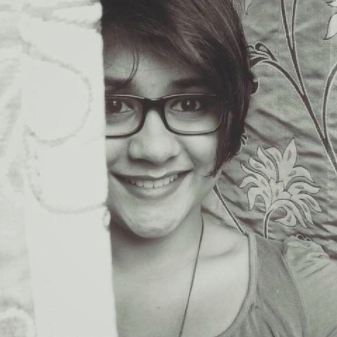 "For city girls it is normal, but when we were shooting in Maheshwar and around, the ignorance I saw was shocking." The actress was asked about her own reaction when she got her first period, and she said, “I was 15 when I got my period and all my friends had got that way before me. I was very upset that I had not got it. So when I actually got it, I was very relieved because I kept telling my parents there is something wrong with me as I did not get my periods. So, I was very very happy." She further added, "Even with us, we remember our grandmother asking do not go to the temple, or in the kitchen or don't go close to the pickles. As city girls, we get to hear all of that so just imagine what girls in smaller villages are going through." It is exactly this backward thinking that movies like Padman aim to dismiss from our society, and it is evident that cinema is one of the most influential forms of media that can help contribute towards social causes such as these. Kudos to the actors and film-makers who have helped highlight such an important issue. Co-starring Akshay Kumar and Radhika Apte, the movie releases in theatres across India on January 25th, 2017, and we can't wait to get our tickets!